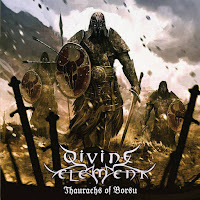 To style Divine Element as an Amon Amarth clone would be an uneducated attempt to compliment two exceptional musicians. Playing a powerful and fiery form of melodic death/black metal, this Hellenic pair plays closely to Amon Amarth's nearly unrivaled glory while finding its own glory in a unique realm of kingdoms and chaos. A concept album that serves as a companion piece to founding member Ayloss' upcoming novel of the same name, 'Thaurachs of Borsu' is the tale of one warrior's destiny wrapped in the fate of his warlike nation. Together they take on the challenge of overcoming an immensely powerful usurpation of their ancestral homeland while the protagonist confronts cosmic questions and tests of his loyalties in this unforgiving world. 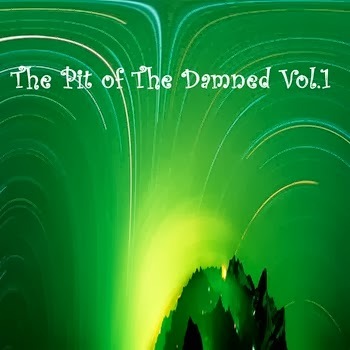 Combining Amon Amarth power with Primordial atmosphere in the opening instrumental, “A Realignment With Destiny” and using moments of narration that make even The Meads of Asphodel seem completely cheese-less, Divine Element explores its broad concepts through a mixture of folk sound and chest-beating battle riffs in this invigorating half hour. 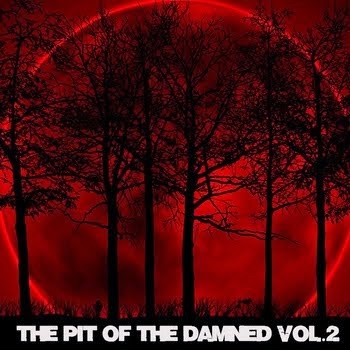 Bookended by interludes and featuring an instrumental in the midpoint of this album, the meat of this release is five unique tracks that explore the human spirit, proclivities for tribalism and notions of power, and embark on a journey of blood and battle that rages across the sea to brutally conquer a capitol. Incredibly uplifting tremolo riffs ride galloping drums to create a purposeful and compelling atmosphere in the money track “On the Trail of Betrayal”, like a vicious woodland hunt chasing a cunning foe. Where Amon Amarth faced a desperate and solemn ride against time in “Hermod's Ride To Hel”, Divine Element charges down the winding path slaughtering all in its way with the satisfaction that the cavalry can overcome any foes in the dense growth. The lyrics call for an examination of one's loyalties and just what hill is worth holding, questioning what influences and justifications one has in order to fight against or to accept a societal norm. Wrestling with whether to pursue a path that destroys others over “kin, kingdom, caste, and belief” or to “aim towards the noble idea, the Wholeness” of a unification strengthened by all its parts rather than a victor stood atop the ashes of his foes, Divine Element chooses to fight for the light and cleanse obscurity. Enlisting the drumming of Hans Grossman, the blaster in Necrophagist's “Epitaph”, “Call of the Blade” brings that cleansing fury to life, causing carnage and calamity on the road to reconquer the lost lands.